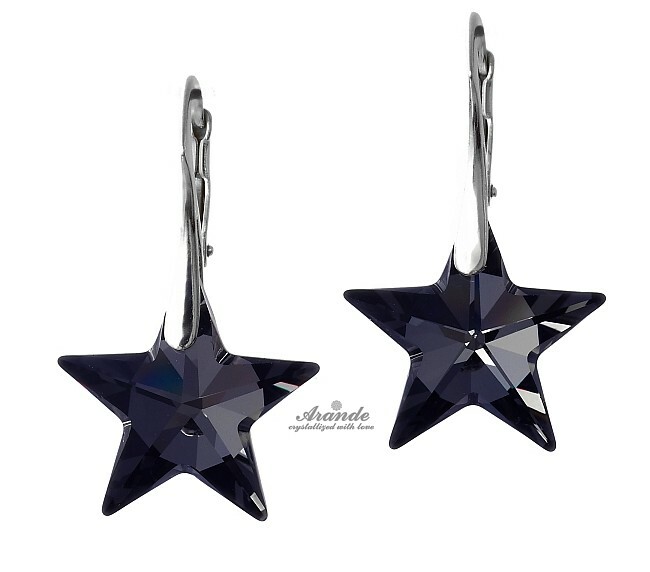 Original large crystal STAR in beautiful SILVER NIGHT color ( inspired by stars at night sky). The crystals were made by Swarovski specially for our company. Unforgettable jewellery for any occasion. Elegant silver clasps and findings made with sterling silver 925. The stamp is marked on the clasps.